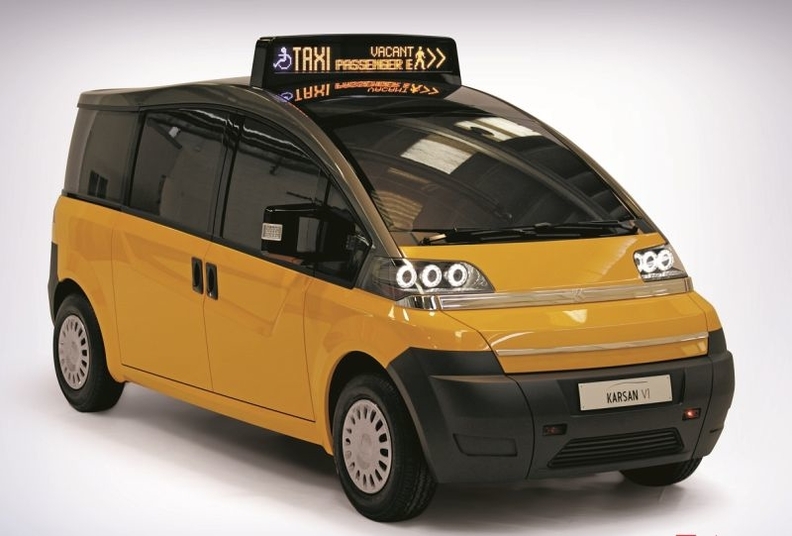 Karsan will launch a prototype of the V1 taxi in the summer. Turkish automaker Karsan Otomotiv Sanayii Ve Ticaret AS will continue with a plan to sell its taxi model globally after losing a bid to supply New York City's next fleet of yellow taxi cabs, the automaker said in a statement. Nissan North America beat the small Turkish company and Ford Motor Co. to win a 10-year contract to supply 13,000 small commercial vans to New York City for its entire taxi cab fleet starting in 2013. Earlier this year, Karsan -- a clear underdog in the competition -- triggered a groundswell of public support around New York City when it vowed to assemble the V1 taxis in Brooklyn from kits if selected. Despite failing to win the tender Karsan intends to target other cities with its taxi after the automaker launches a prototype later this summer. "We are proceeding toward our aim to reach global markets with V1 at full speed," a spokesman told Automotive News Europe. "We will not stop this project due to the decision taken by the New York municipality," he said, "We will continue to improve the project at full speed in strict compliance with the project plan." The official New York taxi -- an exclusive deal that replaces 16 current taxi manufacturers beginning in 2013 -- will be Nissan's new NV200 small van. The vehicle is designed on Nissan's global B-segment platform, which also underpins the Nissan Micra, Juke and Note as well as the Clio and Modus from alliance partner Renault plus the Logan from Renault-owned Dacia. Ford had proposed supplying New York City with its small Transit Connect van, which is manufactured in Turkey. Karsan's entry, the V1, offers passengers a full panoramic glass roof, easy wheelchair access and is designed to be powered by either a combustion engine, a hybrid powertrain or an electric motor, according to the company. Karsan produces cars, trucks, vans and buses at its Akcalar plant in Turkey, where it employs around 1,000 workers.